Spacious home with European charm and rich architectural detail features an open floor plan with side entry garage. The home sits on a 24'' elevated slab that makes for an impressive presence as you drive up to the property. The full brick exterior features three turrets in the dining room, study and garage. 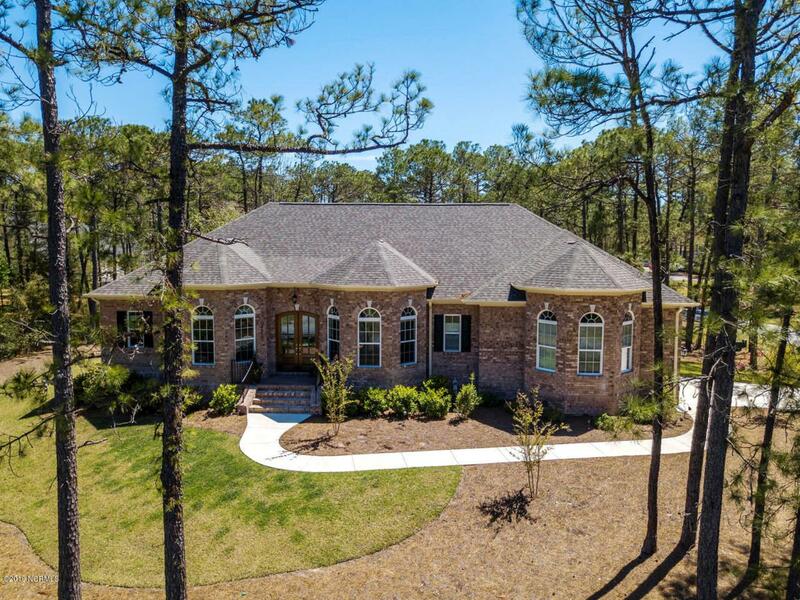 Beautiful arched mahogany front doors open to a foyer with crown molding in main areas of house and master bedroom. The rooms all flow from one room to another for easy entertaining. The kitchen features granite counter tops and stainless steel appliances. Beautiful wainscoting in breakfast and dining areas and hardwood floors throughout home with carpet in the master. Tray ceilings in Dining Room, Study, Master Bedroom and Sunroom. St. James Membership is active.Tile in the master bath with a tiled walk-in shower. Gas fireplace in the living room. Irrigation and drip lines for landscaping and stamped concrete porches. Close walking distance to the St. James Marina and Waterway Park with kayak launch. St. James amenities include 81 holes of Championship Golf. 4 distinct clubhouses. Indoor and outdoor pools, tennis, and fitness centers with full class offerings. 36+ miles of biking/walking trails. Fish, boat, and kayak on the ICW. St. James Marina with wet slips/dry stacks, Tommy Thompson's Grille and Tiki Bar. Private beach club with spectacular views, private parking, showers and picnic area. Numerous community clubs and events. If you are looking for the lifestyle you have always dreamed of, look no further!